This 11,900 s.f. 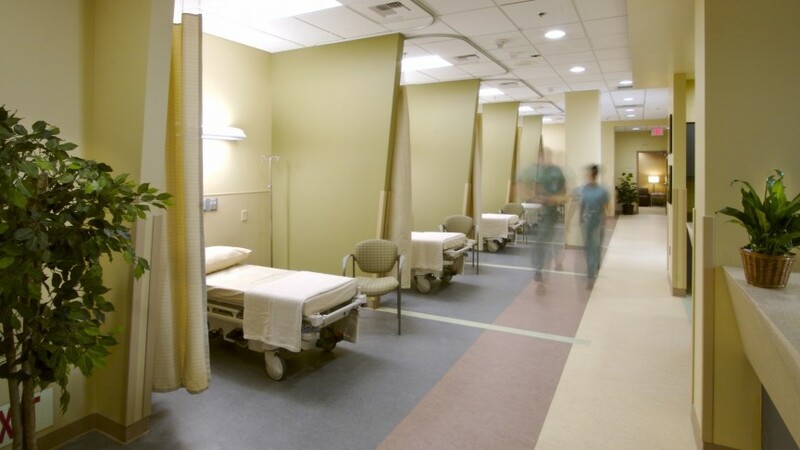 multi-specialty surgery center, housed in two floors of an existing building, posed a unique challenge due to its constrained, long narrow footprint. In order to create the most functional flow, a double-sided private elevator was installed to guide arriving and departing guests to their respective destinations. 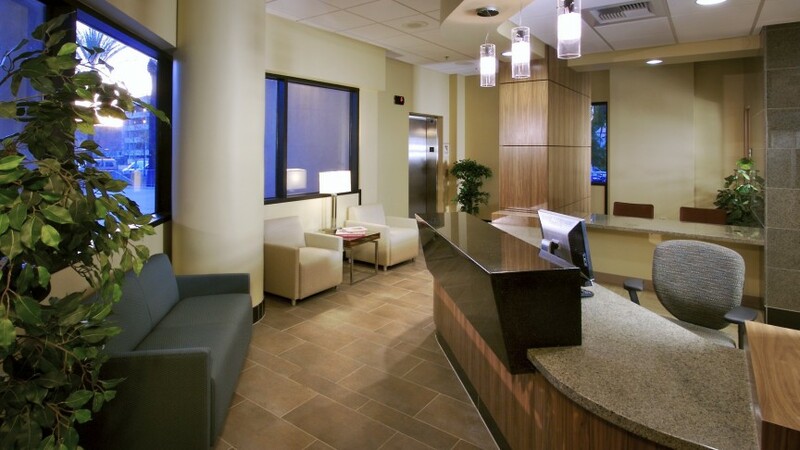 An important design consideration was to provide a large waiting area for patients and their families. 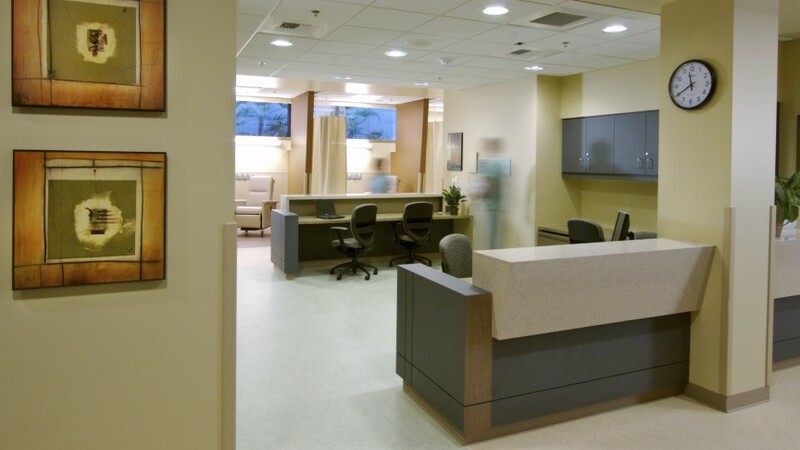 The reception desk was placed on the upper level; thus, allowing more space for four operating rooms and the waiting area on the bottom level. Our designers used warm, natural elements to make the waiting area as comfortable as possible, despite the lack of windows in the space. Though the space was small, furniture was strategically arranged to make it feel open. 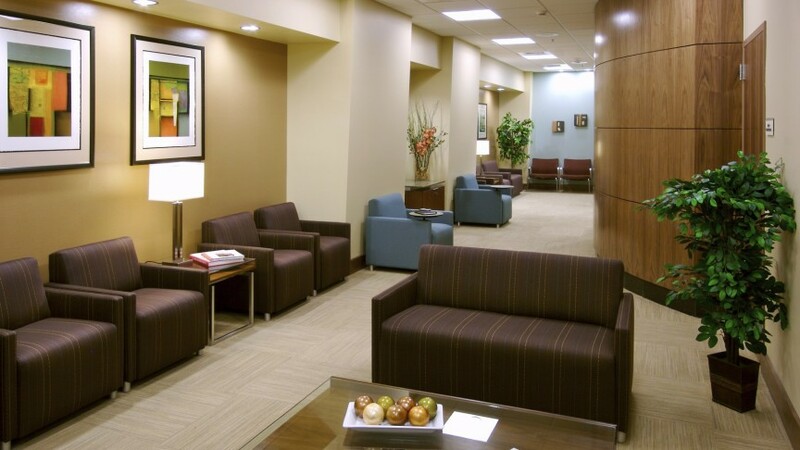 Artwork, table lamps, and different chair styles were used to make the waiting area feel more like a living room, putting visitors at ease and making them feel at home.